David grew up in Charlotte, NC, and received an undergraduate degree in business from UNC-Chapel Hill. He worked in sales for 12 years before joining the staff of Reynolda Presbyterian Church in Winston-Salem, where his focus was evangelism and world missions. He received his Master of Divinity degree from Gordon-Conwell Theological Seminary in 1996 and his Doctor of Ministry degree in 2012. 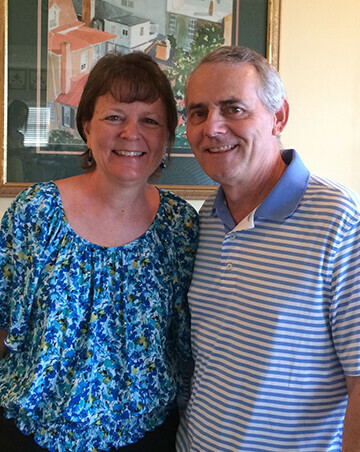 He has served as pastor of River Oaks Community Church in Clemmons, NC, since the church began in 1999. David and his wife, Beth, have two children, Anna (a staff member with CRU High School) and Matthew (a recent graduate of UNC-Chapel Hill with a degree in business). David has a special love for prayer, evangelism, and world missions, and has traveled on short-term ministry trips to Jamaica, Nigeria, Romania, and Cuba. His years in business have given him a special appreciation for and ability to relate to people who have been out of church and are unfamiliar with the Christian faith and the Bible. When David finds time off, you might find him reading a book on revival history, working out at the YMCA, or watching ACC sports. His book, "An All-Surpassing Fellowship: Learning from Robert Murray M’Cheyne’s Communion with God", was published by Reformation Heritage Books in 2014.